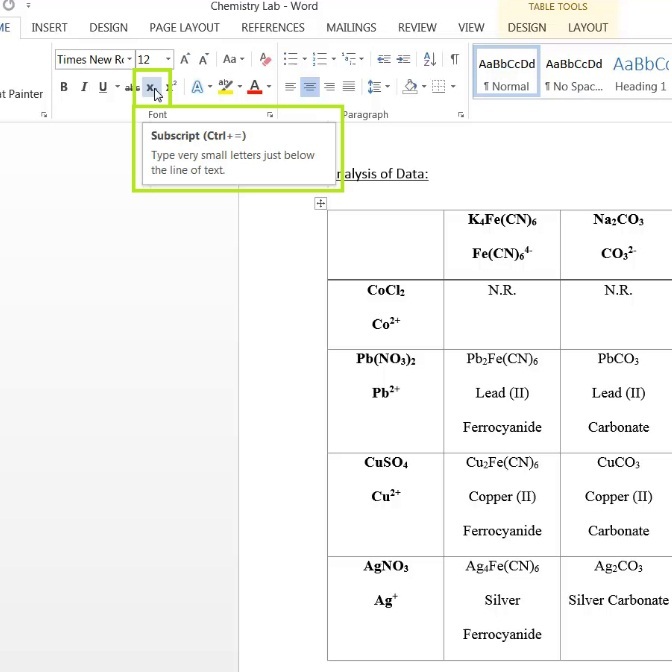 In this HowTech written tutorial, we’re going to show you how to type subscripts in Word 2013. Subscripts are important for chemistry as well as mathematics and even beyond those. A subscript is simply the text (whether it be a number or word) that appears in a smaller font and is shown lower than normal text. Text that is shown above the normal text is called a superscript. 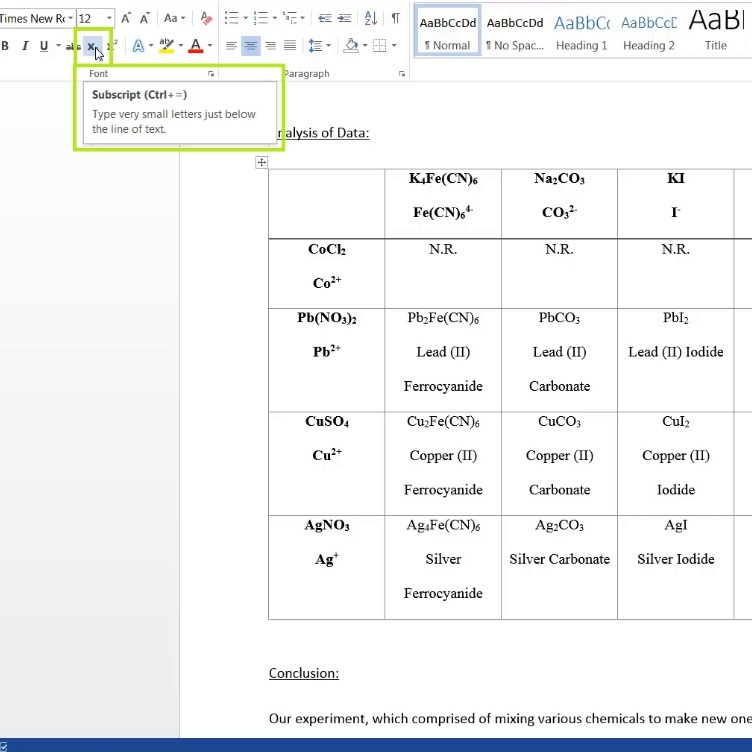 Typing a subscript can be done in Word using a couple different methods. The first method involves clicking on the X2 Subscript button in the Font section of the Home tab. You will notice the cursor minimizing to show that you may now type subscripts. If you hover your mouse pointer over the same X2 button, you will notice a tooltip appears. Following the tooltip, you can use the shortcut (Ctrl + =) to enter subscript mode and proceed to type the subscript. To return to being able to type normal text, go ahead and use the same shortcut (Ctrl + =), and you will notice the cursor go back to its standard size and you will be able to type normal text.